Escaping the rather cold Dutch weather to warmer places – Lisbon, Portugal. Earlier this year we went to Lisbon to shoot some summer looks for theModeCode, an international column in fashion and lifestyle. 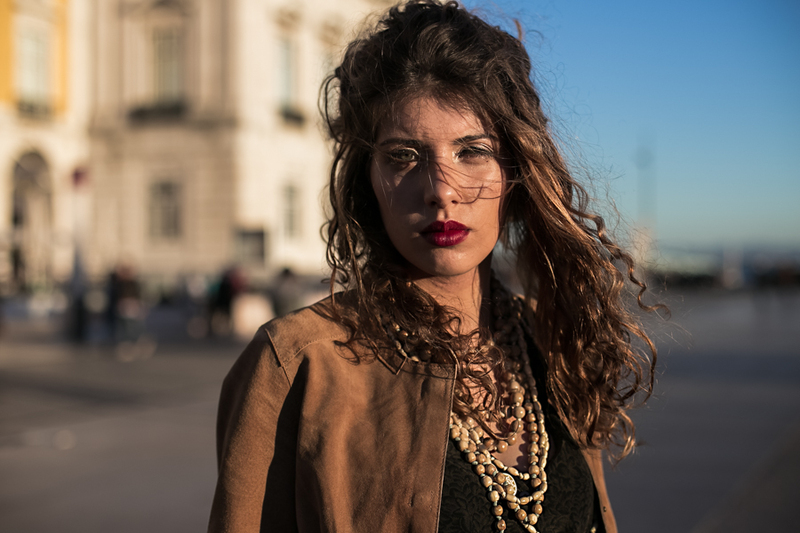 Before the sun went down to introduce us to Lisbon’s nightlife we used the magic hour just before sunset to give our model Inez from Blue Models the perfect lighting. Between locals, rushing to get some last minute shopping done, eager tourists, hunting the perfect selfie, and flying pigeons Inez explored for us the Praça do Comércio, Lisbon’s popular central square. Stylist Rebeka Kadlicsek wanted to keep the outfit for our Lisbon fashion shoot very natural with earthy brown and green tones, which went great with our model’s wild curls. Inez represented perfectly the Portuguese laid back and chilled out lifestyle. Despite all the hectic and rushing around us (including the rush we were in ourselves thanks to the parking situation) every moment captured looks peaceful and relaxed. A fashionable summer vacation in the sunny capital of Portugal. Shot for:theModeCode // Styling: Rebeka Kadlicsek // Fashion Photography: Megan Alter Photography // Model: Inez // Location: Lisbon, Portugal. Inez is wearing: brown suede jacket, linen fedora, shopper bag & yellow belt from ESPRIT; forest green blouse and shorts from OPUS; and wooden pearl necklaces from JAVEA.